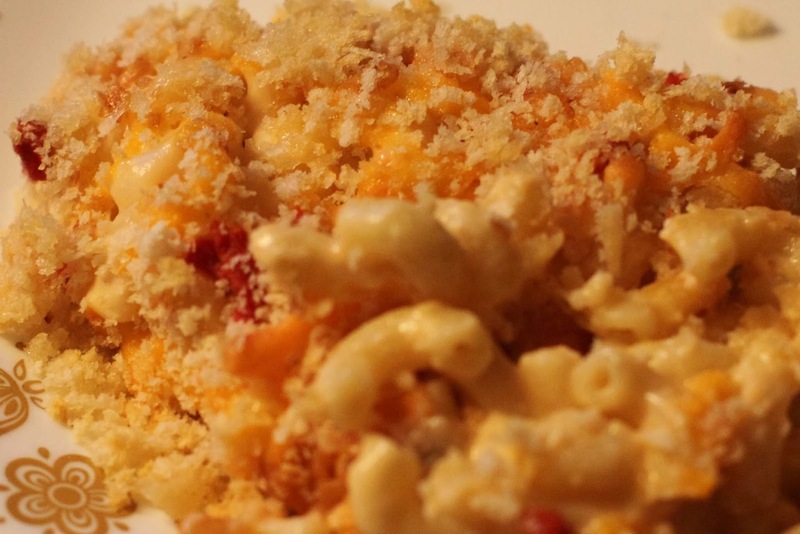 Is there anything that screams comfort food as much as creamy mac and cheese? This is one of my fav meals. 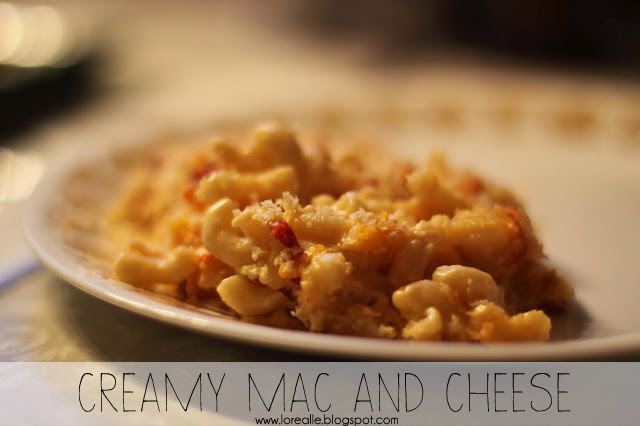 I love me some homemade mac and cheese! If you make it, I will eat it. 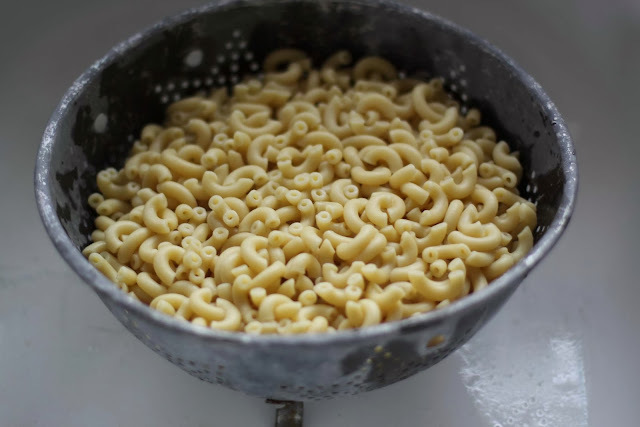 I mean seriously, pasta, cheese, a little milk, a little salt, what’s not to love? And that "crusty” top, oh my goodness. Does anyone else love that crunchy topping? I like adding some different ingredients into the mix – including bacon or shredded chicken. The reason I love this recipe so much is because its the perfect base mac and cheese to experiment with while being perfectly delicious on its own. I really hope you enjoy it! Cook macaroni as normal and drain. Sooo, I'm not a fan of doing dishes, so we want to dirty as little dishes as possible. 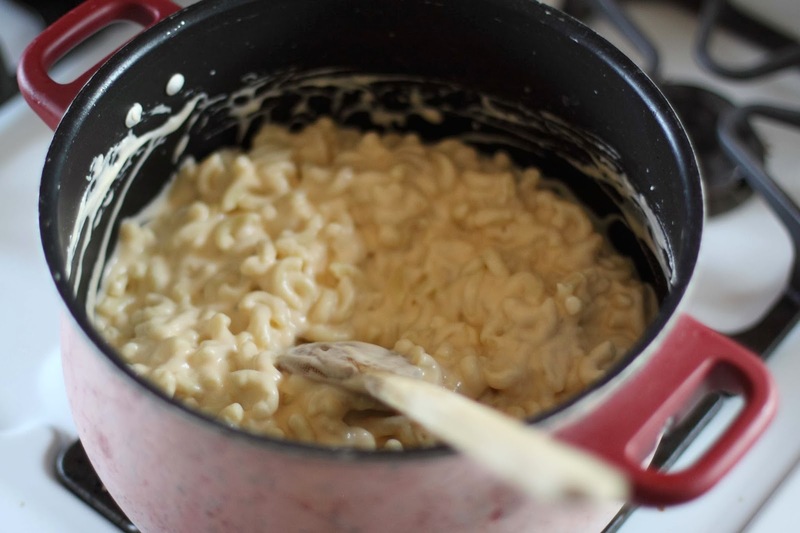 Leave the macaroni in the strainer and use the same pot to make your cheese sauce. First we are going to make a roux. 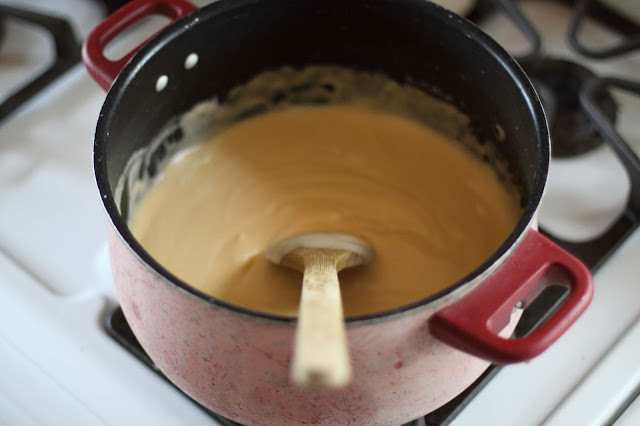 A roux is a mixture of fat (usually butter) and flour that makes the base of the sauce. 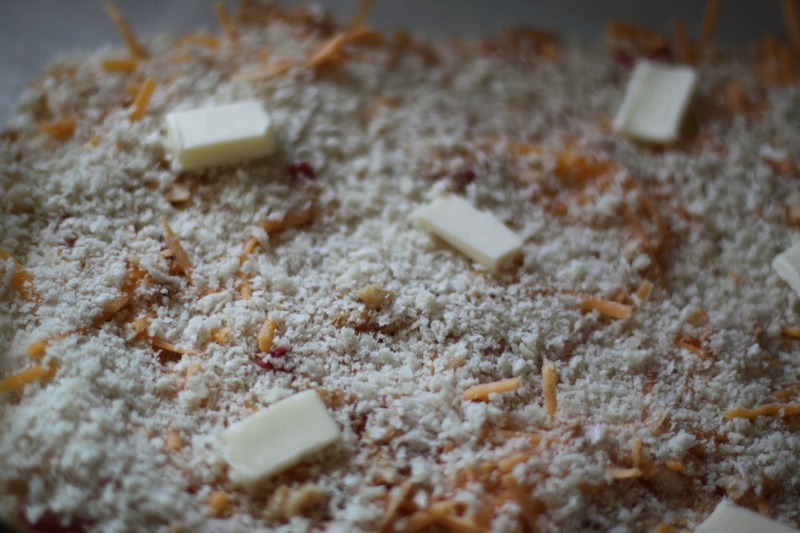 In this recipe we start by combining the butter and flour first. To do this, add butter into pot and melt over medium heat. Once melted, add flour. Continually whisk for a few minutes, until it looks like the picture below. Now slowly add in the milk. 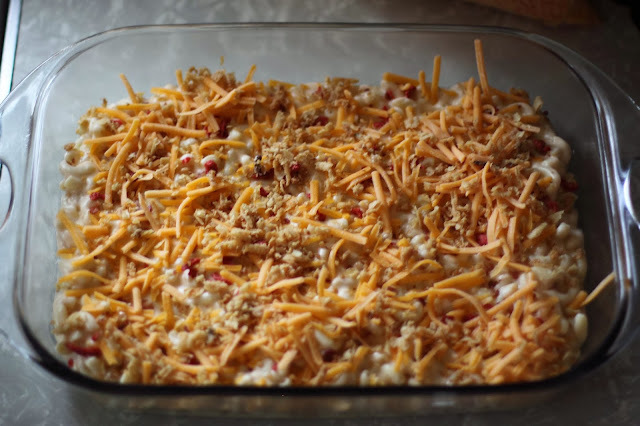 The trick is to add the milk slowly, while stirring, to try and avoid clumping. Whisk constantly until the mixture thickens. Next you add the cheese and spices. 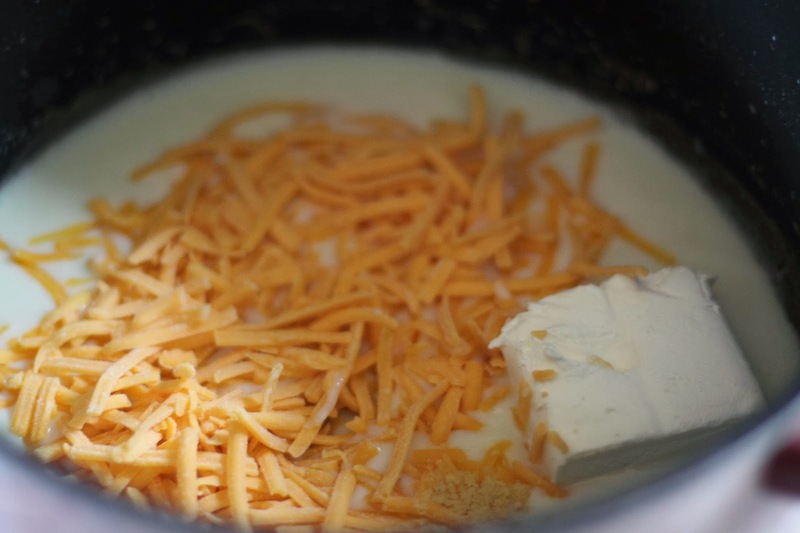 Mix until cheeses are melted. 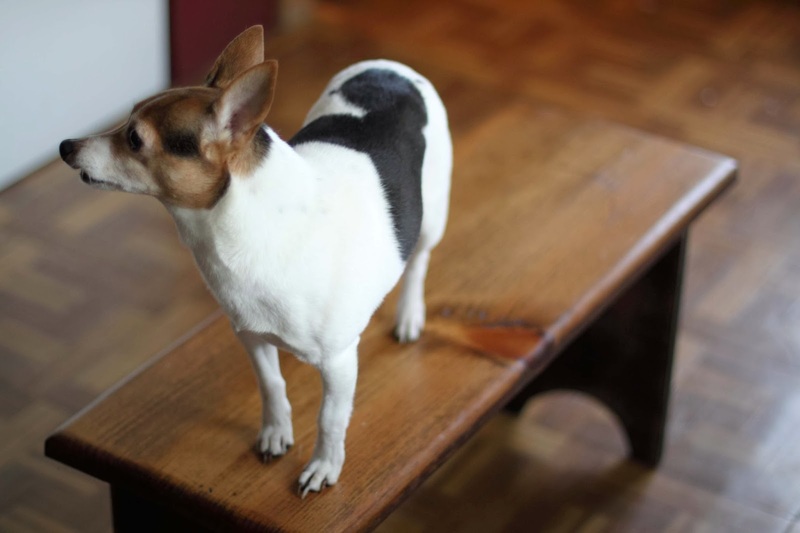 Turn around to grab the bench to stand on so you can get a better picture of you pot. Oh, hey puppy. 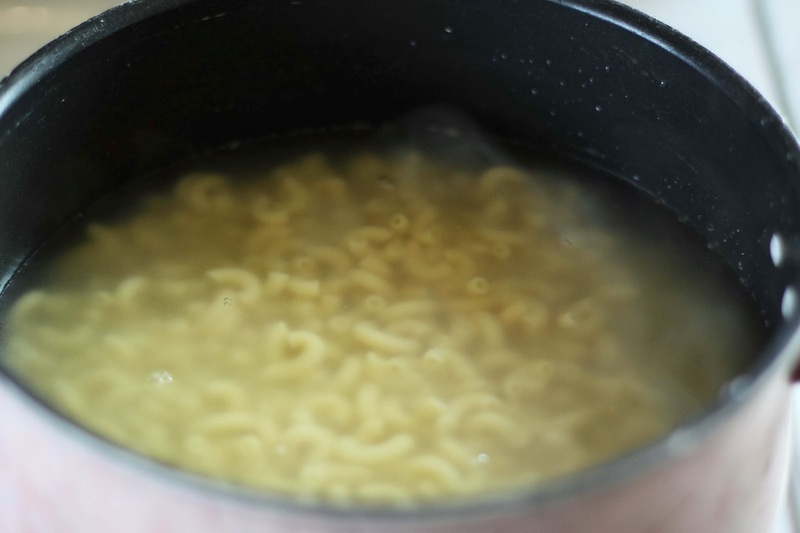 Add macaroni back to pot stir to mix it well. Pour it into your greased pan. This is where I like to get creative! I had a bit of bacon left in the fridge, so I added it to the top. 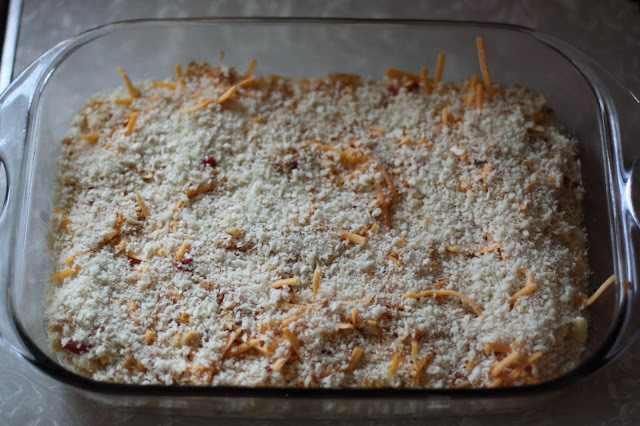 I always sprinkle some cheese on top so my breadcrumbs will have something to stick to. I also grabbed a small handful of Durkee french friend onions, crumbled them up and added those. 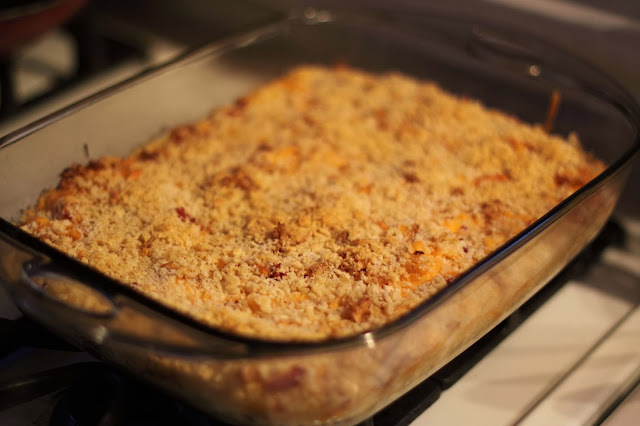 Cover the top with either breadcrumbs, crunched up potato chips or panko crumbs (which is what I used here). 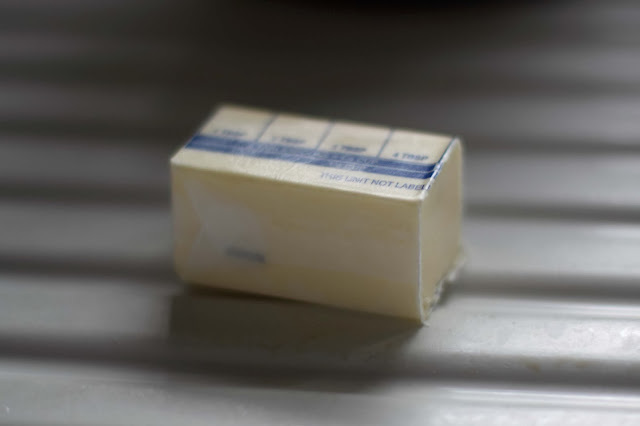 Add a few pats of butter to the top. 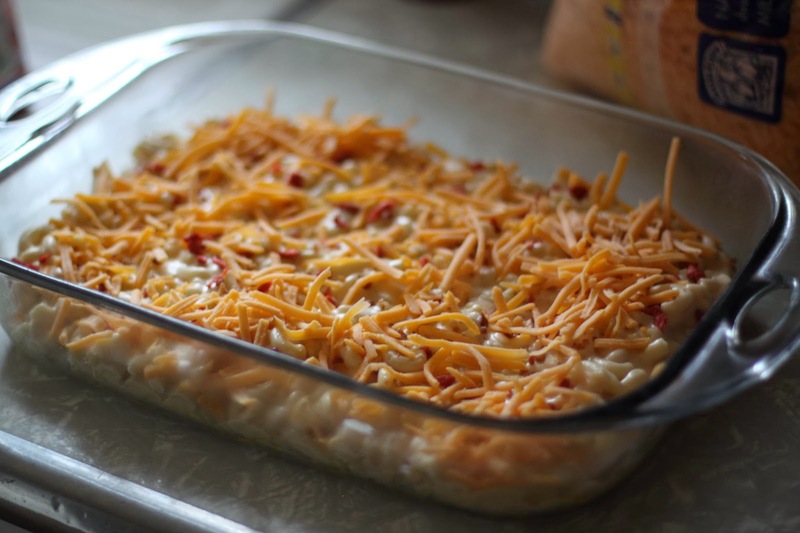 Pop it in the oven. 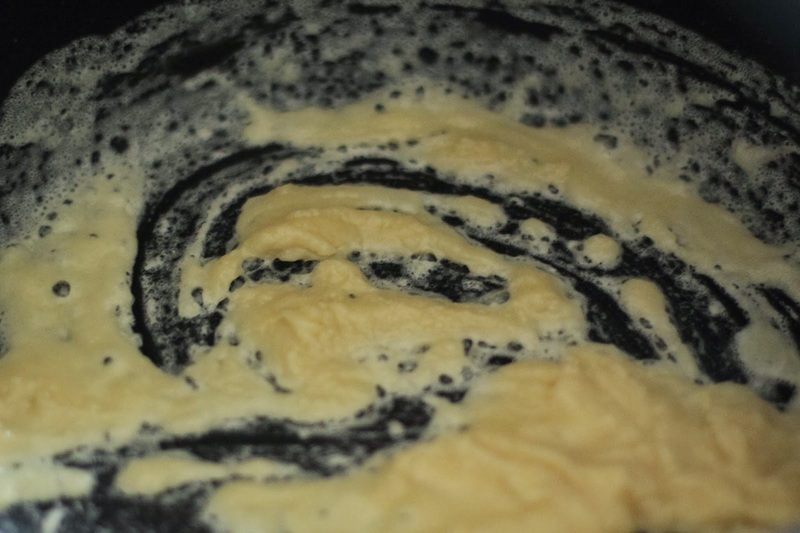 To make the roux: Equal parts butter and flour to make a roux. Let the roux cook for 1-2 min to cook out raw flour taste. You'll notice it start to smell "nutty", that's when it's done. Slowly whisk in milk to avoid any lumps. Gently fold in pasta to the sauce and place in oven safe dish. 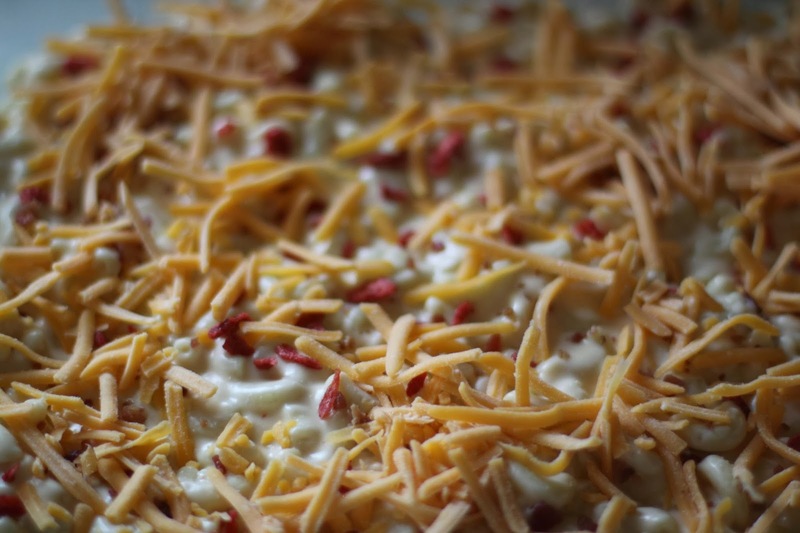 Add whatever toppings you want (bacon, chicken, french friend onions, different cheeses, etc.). Add a few pats of button on top, if desired. Cook for about 20 minutes or until golden on top and bubbly.